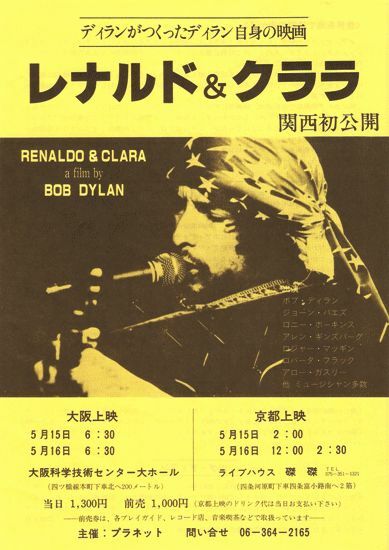 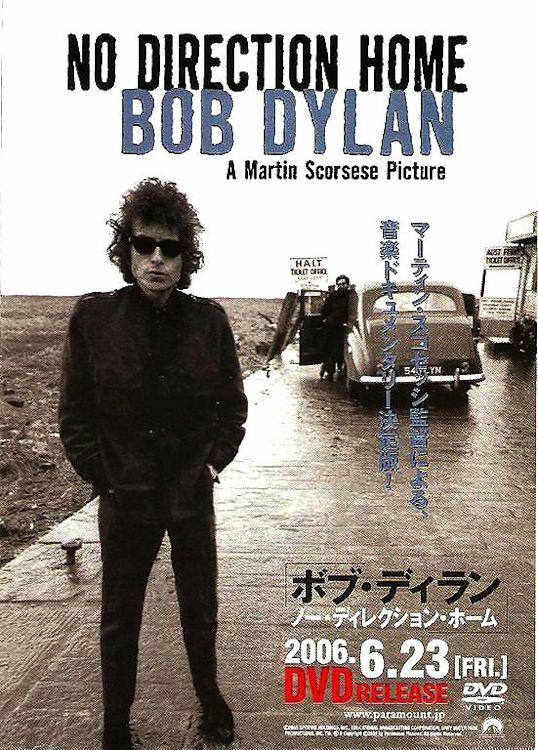 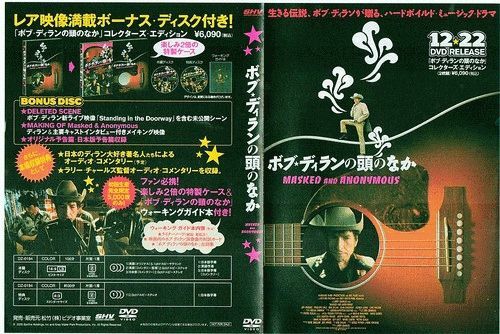 JAPANESE FLYERS for BOB DYLAN CDs and DVDs (sorted by chronological order). 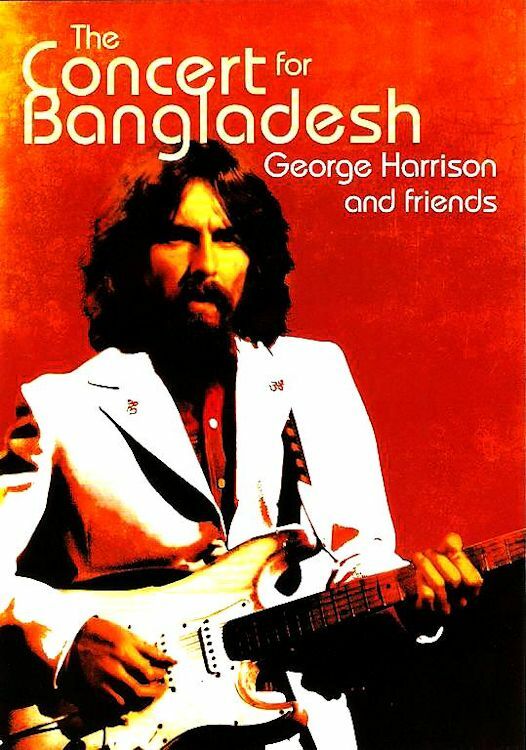 Documents and information: Wil Gielen, many thanks to him. 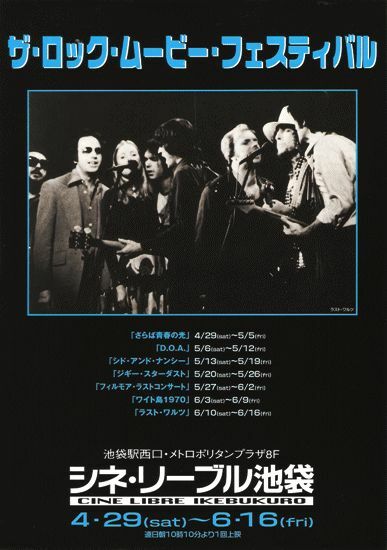 THE LAST WALTZ, 1978 2 Sided Japanese cinema handbill. 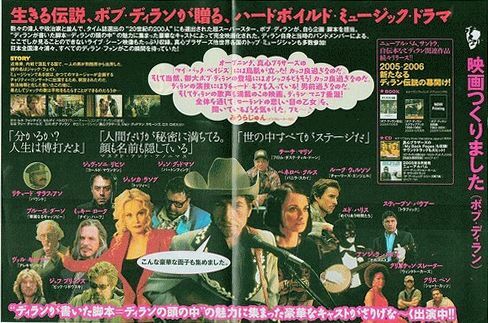 THE LAST WALTZ, 1978 Cine Libre Ikebukuro, 2 Sided flyer for Japanese film weeks from Saturday 29 April until Friday 16 June. 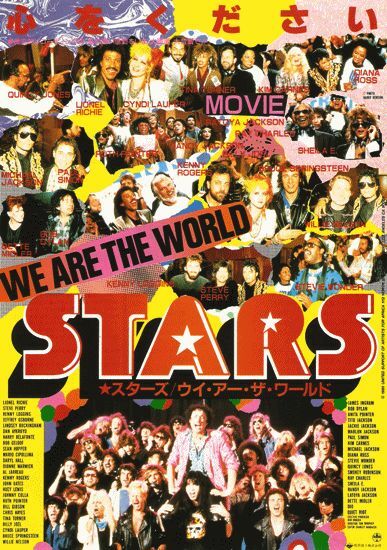 WE ARE THE WORLD, 1986 2 sided promo flyer for the cinema release. 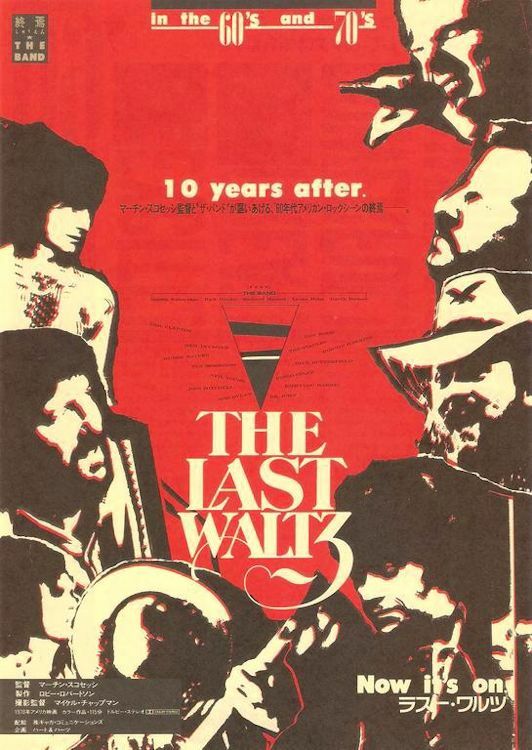 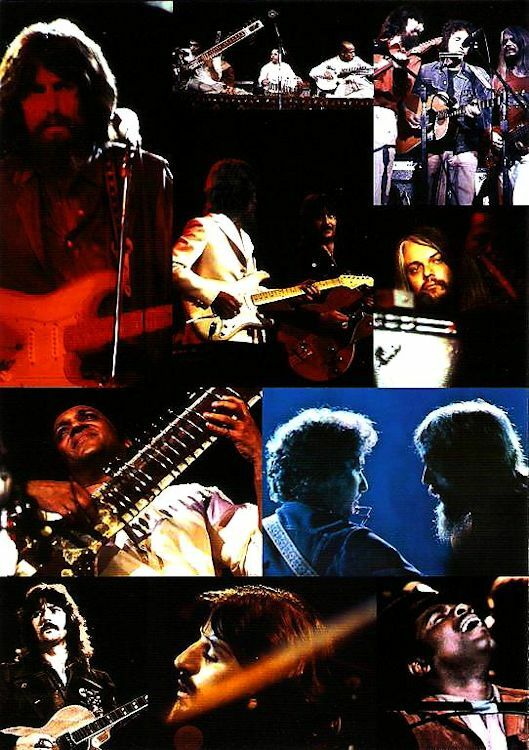 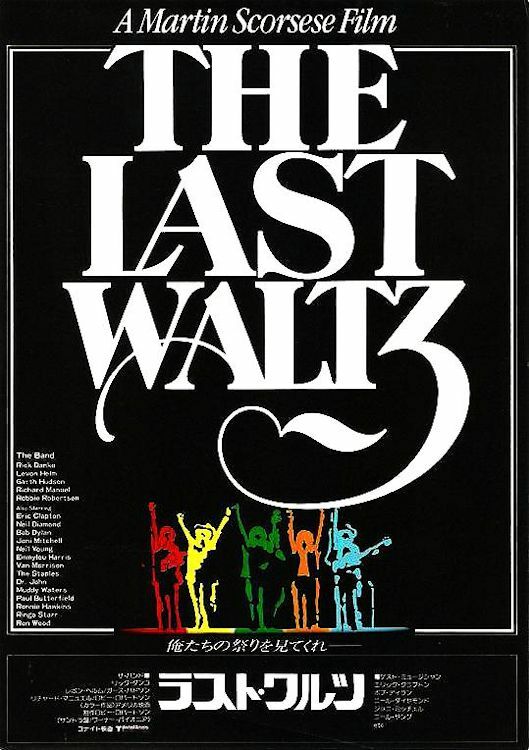 THE LAST WALTZ 1987, 2 sided 26x18cm cinema release flyer. 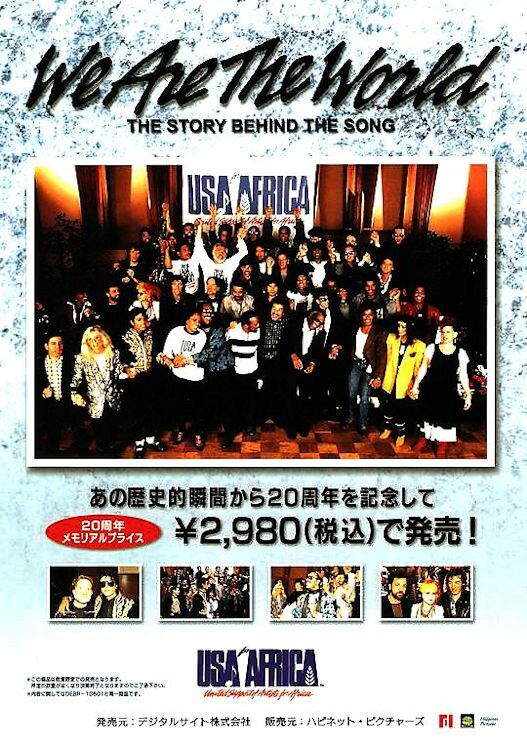 WE ARE THE WORLD, 2002 2-Sided full colour A4 promo flyer for the Japanese DVD release. 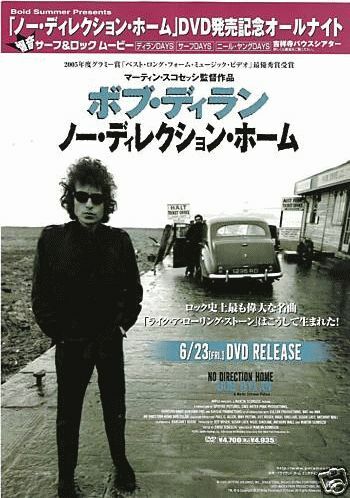 (Release date 4 December 2002, catalogue number Dream Time Video DEBR-13601). 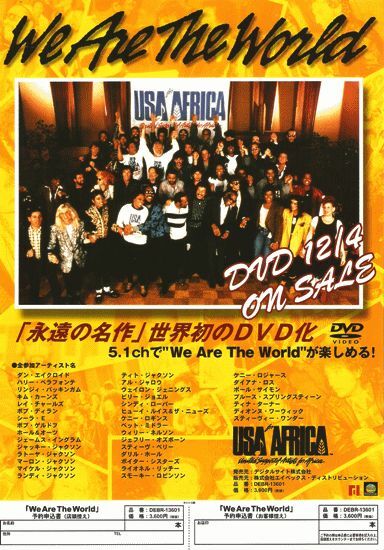 WE ARE THE WORLD, 2004 2-Sided full colour promo flyer for the Japanese DVD release (Release date 26 November 2004, catalogue number Dream Time Video DEBR-12801). 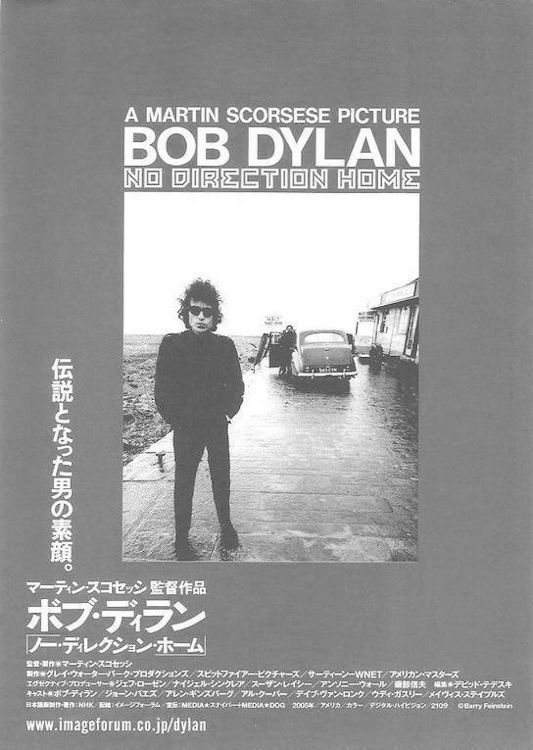 NO DIRECTION HOME, 2006 2-Sided flyer for the film release. 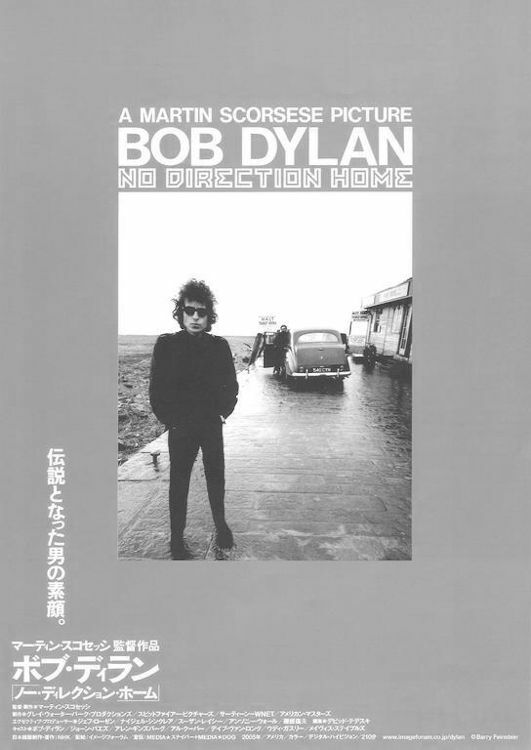 NO DIRECTION HOME, 2006 little promo leaflet with 4 pages that open out to larger size, for the documentary film release. 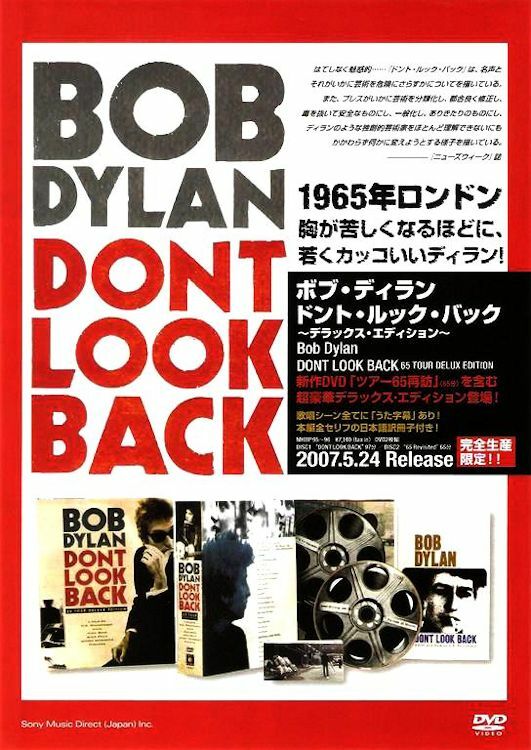 DONT LOOK BACK 2007, 2-Sided Promo only flyer for the 2007 Japanese 2DVD release Don�t Look Back with catalogue number Sony MHBP 95-96. 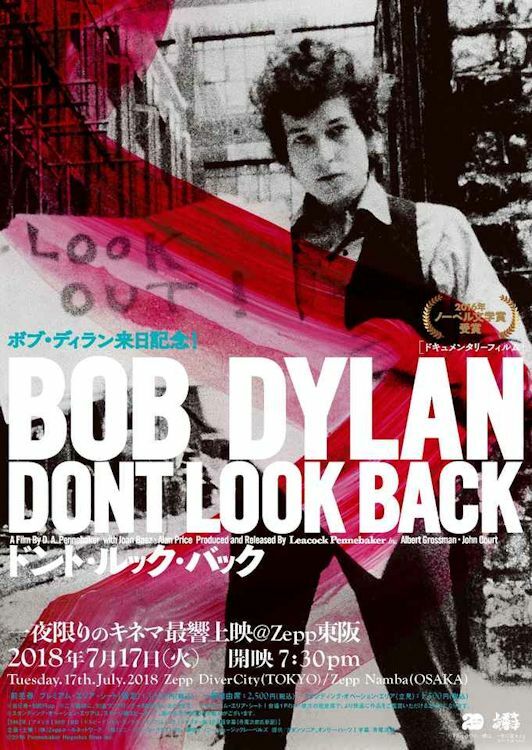 Japanese release date for the 2DVD was 24 May 2007. 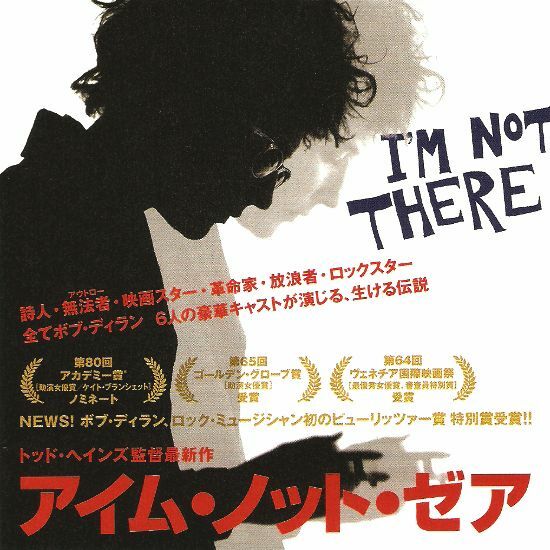 I'M NOT THERE, 2007 12 Page folded CD booklet size promo leaflet for the I'm Not There Japanese Dylan themed film release. 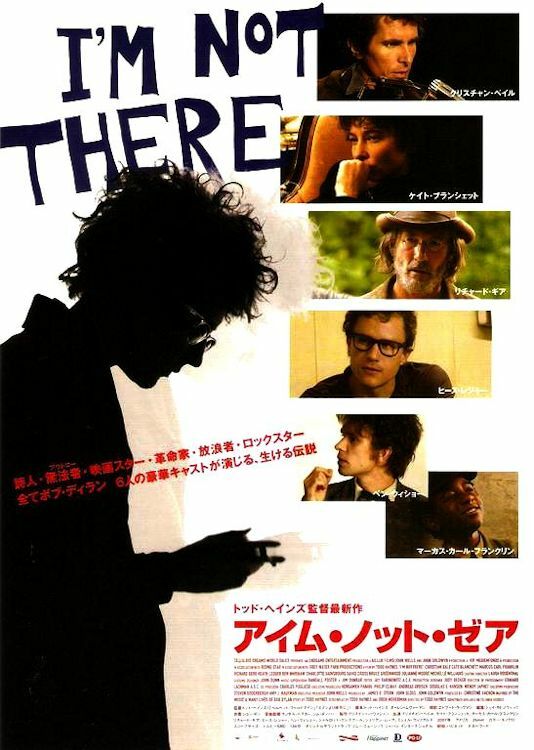 I'M NOT THERE, 2007 promo A5 2 sided flyer for Bob Dylan themed film. 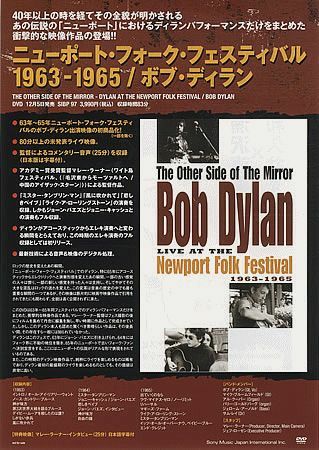 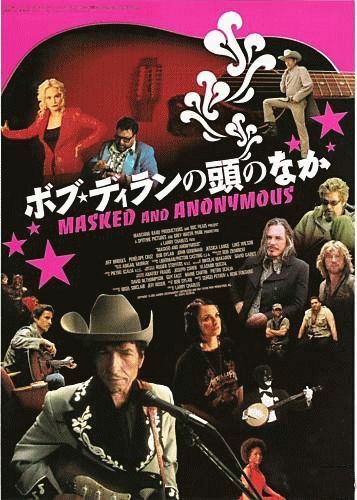 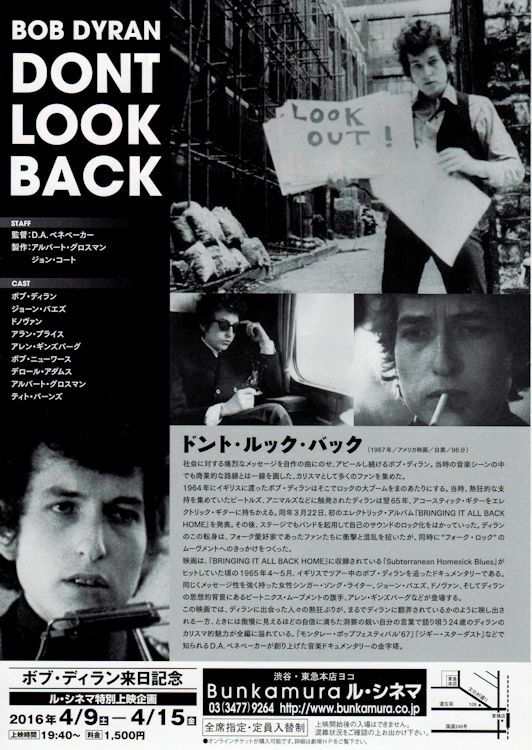 THE OTHER SIDE OF THE MIRROR, 2007 promotional only one sided 6�" x 8�" glossy full colour handbill flyer issued to promote the DVD release, featuring an image of the artwork along with details about the release, on the reverse is a great caricature image of Bob and advertising the 'Talkin' About Bob Dylan' book - all text in Japanese. 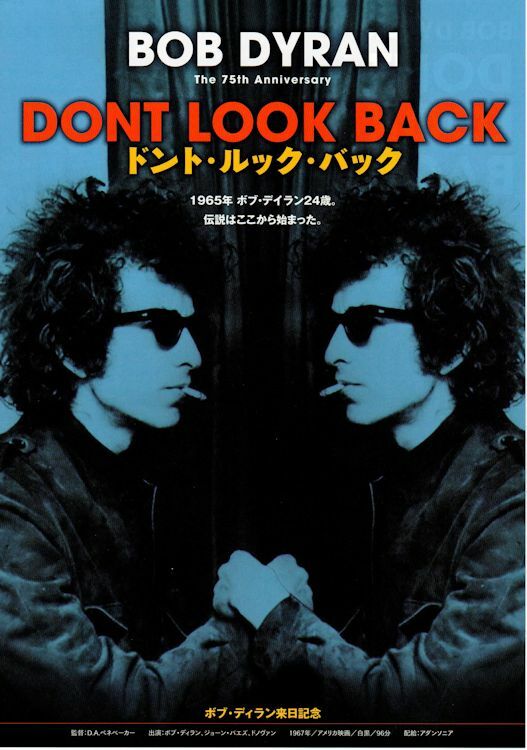 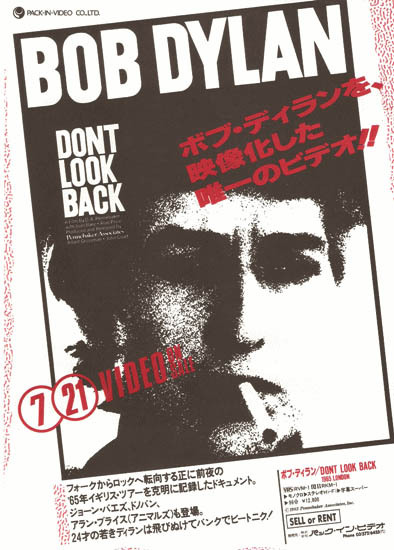 DONT LOOK BACK, 2018 promo only flyer for the Dont Look Back cinema film on Tuesday 17 July at Zepp DiverCity, Tokyo, plus Zepp Namba, Osaka.